Encryption « The SQL Dude! The correct SSL certificate has been chosen in SQL Configuration Manager. The ForceEncryption flag is set to Yes. There are some forum posts on this issue and I don’t entirely agree with the solutions proposed there, because they did not actually solve the real problem but worked around it without understanding how/why the problem occurred, and how to get a complete solution. I am going to be bold and say this; please do not follow the above posts since they are workarounds. Most people in enterprise environments cannot run SQL Service under the Local System account, which is what the above posts are asking you do to, yikes!!! As always, the first place to check when a SQL Service does not start is the SQL ERRORLOG (yes, ERRORLOG and NOT the EVENTLOGS – I said 1st place). 2011-06-08 12:35:30.56 Server Unable to load user-specified certificate [Cert Hash(sha1) “XXXXXXXXXXXXXXXXXXXXXXXXXXXXXXXXXXXXXXXX“]. The server will not accept a connection. You should verify that the certificate is correctly installed. See “Configuring Certificate for Use by SSL” in Books Online. 2011-06-08 12:35:30.59 Server Error: 17182, Severity: 16, State: 1. 2010-06-08 12:35:30.59 Server TDSSNIClient initialization failed with error 0x80092004, status code 0x80. Reason: Unable to initialize SSL support. Cannot find object or property. 2011-06-08 12:35:30.62 Server Error: 17182, Severity: 16, State: 1. 2011-06-08 12:35:30.62 Server TDSSNIClient initialization failed with error 0x80092004, status code 0x1. Reason: Initialization failed with an infrastructure error. Check for previous errors. Cannot find object or property. 1. The certificate itself is valid and has not expired (using certmgr.msc). 2. The certificate hash matched that of the certificate associated with the instance but it wasn’t loading. The certificate appears to be fine. Well, what next? My Computer –> Properties –> Advanced –> Settings (under User Profiles section). Identify the SQL service account and log on to the server machine that is running SQL Server, with the service account. During logon, Windows will create a new user profile for the service account. 2. SQL Server User Groups are updated with the new service account only by SSCM. 3. WMI namespace permissions are only set through SSCM. So, if you changed the service account through services.msc, it is possible that the new service account does not have permissions to access the certificate. The certificate hash is stored in the following registry key. If the new service account cannot access it, then you “can” get the error above, since SQL cannot load the certificate due to insufficient privileges. I started to check if this was happening in my case and found that the SQL Service account was not even present in the local group SQLServerMSSQLUser$[Computer_Name]$[Instance_Name]. This confirms that the service account change wasn’t done through SQL Configuration Manager. 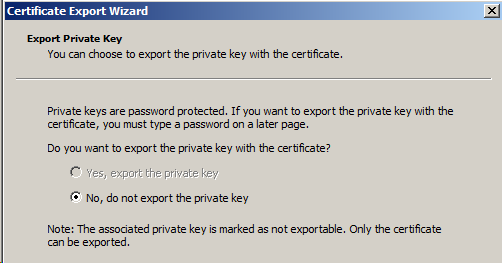 This means the SQL Service account does not have permissions to open the private key for the certificate. i.e. SQL Server failed to load this specific certificate due to insufficient permissions. 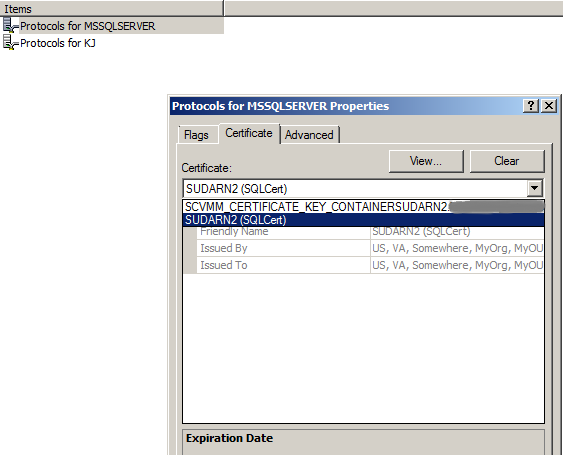 Once we give the service account permission to read the private key, the SQL Server should start up without a problem. 1. Identify the SQL service account (could be a domain account or any of the built-in accounts like LocalSystem/LocalService/NetworkService). 3. Open the Microsoft Management Console (MMC) by click Start -> Run, entering mmc and pressing Enter. 4. 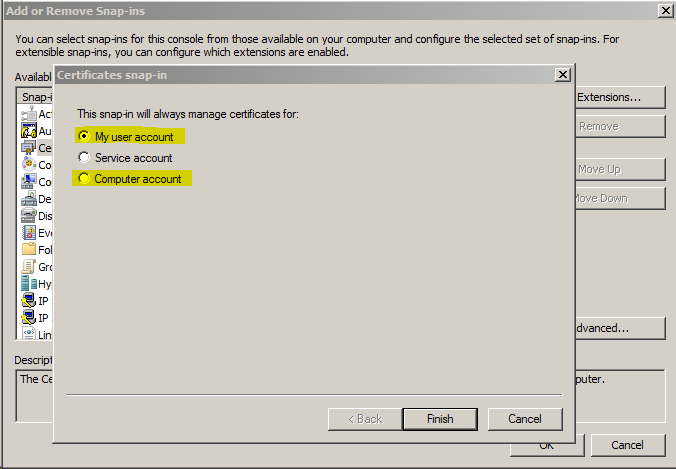 Add the Certificates snap-in by clicking File -> Add/Remove Snap-in… and double clicking the Certificates item. 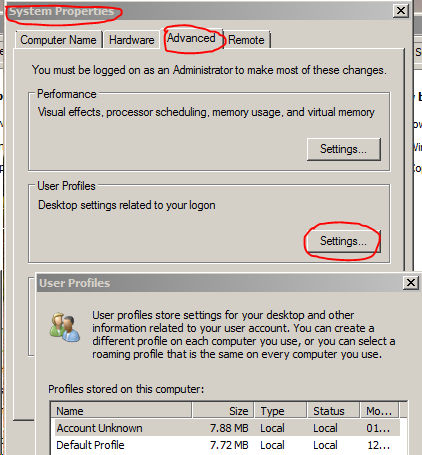 Select computer account and Local computer in the two pages on the wizard that appears. 5. Expand Certificates (Local Computer) -> Personal -> Certificates and find the SSL certificate you imported or created. 6. Right click on the imported certificate (the one you selected in the SQL Server Configuration Manager) and click All Tasks -> Manage Private Keys. 7. Click the Add button under the Group or user names list box. 8. Enter the SQL service security group that you identified in step #2 and click OK.
You can also directly add the service account itself here, but for any future changes you need to repeat these steps to add that individual account. Instead its better to add the security group, since the service account will always be present here if account change was done using SSCM. Now, when I started the SQL service you can double-check that the certificate is being loaded and used by looking for this entry in the errorlog. In my case, it started fine and SSL encryption was working. 2011-06-08 12:48:47.88 Server The certificate [Cert Hash(sha1) “XXXXXXXXXXXXXXXXXXXXXXXXXXXXXXXXXXXXXXXX“] was successfully loaded for encryption. Now, to check if the connection is actually encrypted you can use Netmon or Wireshark to check the network packet. Refer to the screenshot posted in this blog on how to do that. An easier way for DBA’s to verify this is to use the DMV sys.dm_exec_connections, look at the encrypt_option column. This DMV also tells you if the connection is using Kerberos/NTLM/SQL Authentication -> auth_scheme column has this value. Hope this saves you some time.